Is a modified version of the LPMA instrument (Limb Profile Monitor of the Atmosphere originally created to made Earth's limb measurements) used to observe the Earth's atmospheric emission at nadir, to determine the vertical profiles of various atmospheric gases such as H2O, CO2, CO, O3, N2O, & CH4 from high resolution atmospheric spectra. Their major goal is the preparation of the so called IASI mission, which is a satellite instrument dedicated primarily to operational meteorology, hence it is also known as IASI-balloon. 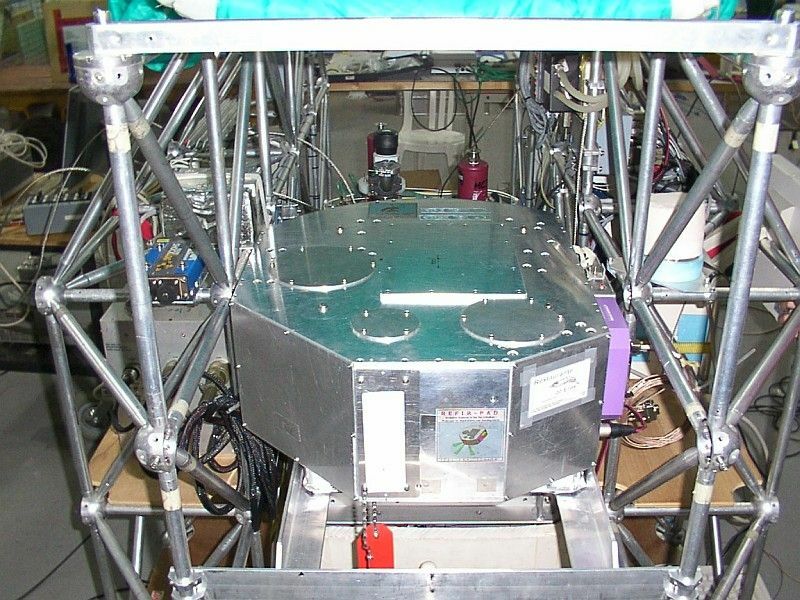 The instrument is composed by a BOMEM DA2 infrared Fourier transform spectrometer coupled with a movable mirror. An optical head with an aquisition mirror looks down and made the nadir observation while two references blackbodies one warm and the other cool are used for reference purposes. A CCD camera is used to image in the visible the atmosphere observed by the spectrometer and to make corrections in the instrument attitude commanding the aquisition mirror. 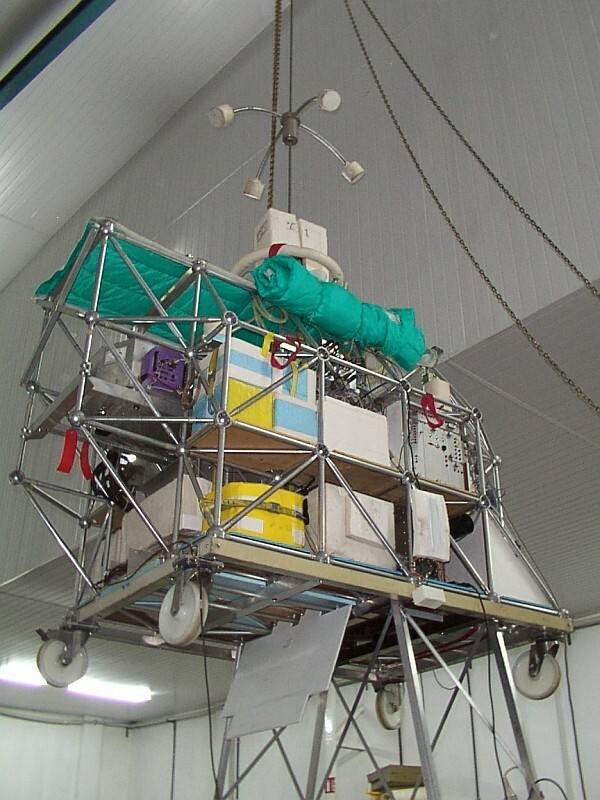 The instrument is installed in the same gondola developed by the CNRS for the LPMA instrument, wich have an azimuth control system to compensate the balloon motion. An onboard PC computer controls the instruments during the flights, recording the interferograms and ensuring the telecommand and telemtry link with the ground station. In this flight also was part of the scientific payload onboard the gondola the REFIR-PAD (Radiation Explorer in the Far InfraRed) instrument a balloon-borne prototype of the REFIR project: a study, funded by European Union, of feasibility of a novel space-borne instrument that will measure the atmospheric spectral radiance of the Earth in a broad spectral range from space with good spectral resolution and signal-to-noise ratio. Their scientific objectives are to measure the outgoing FIR radiation at the top of the atmosphere and the improvement of the knowledge of the principal drivers of this flux, e.g. temperature structure, water vapour, and clouds throughout the troposphere-surface system. 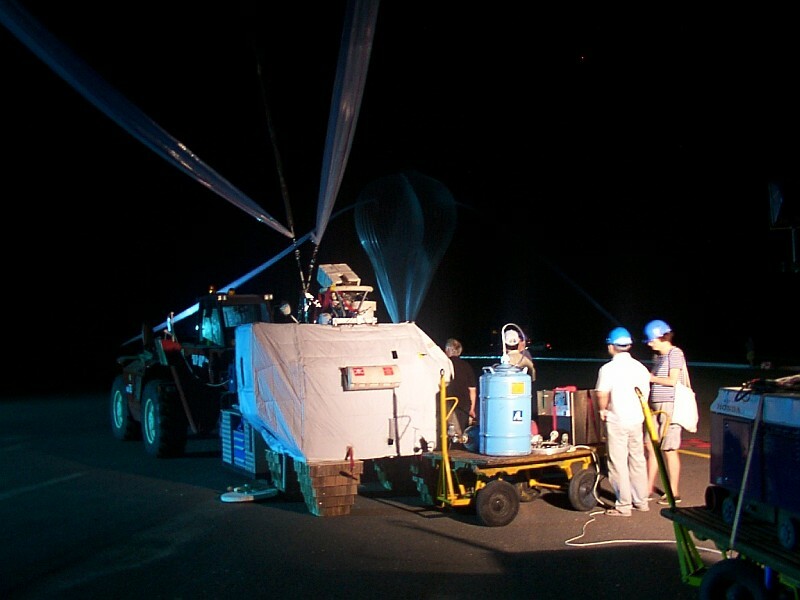 The balloon was launched at 3:36 local time on June 30, 2005 using the auxiliary balloon method. After and ascent phase the balloon reached float altitude and started an east-west path wich then changed to a southwestern path as clearly visible in the map at left (click to enlarge). The flight endured near 10 hours, and the sparation command was transmited at 13:15 local time. The payload landed west of the city of Mirador in the Maranhao State. Refir PAD website Istituto di Fisica Applicata "Nello Carrara"